It’s Spring – and annual assessment meetings are popping up all over. 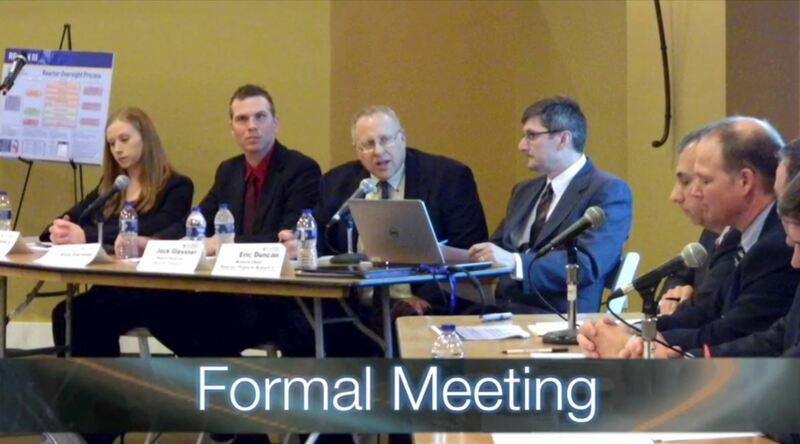 The NRC holds these important meetings every year for every nuclear power plant to provide information about how the plant performed in the previous year. What happens at these meetings? If you attend, you can expect to hear about NRC inspection activities, how the plant performed from a safety perspective, and how it met NRC requirements, including if there were any violations and, if so, what actions were taken to correct those issues. You would also hear directly from NRC resident inspectors, who are at the plant on a daily basis and know the plant inside and out. They and other specialists inspect the plant to help ensure protection of the public health and safety. We just posted a short YouTube Video on the subject today. 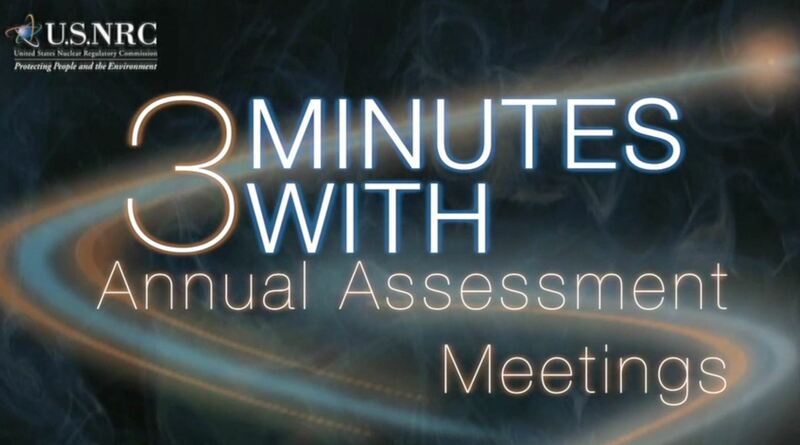 “Three Minutes with an NRC Expert on the Annual Assessment Meetings” can be found here. As the video underscores, annual assessment meetings are not all the same. There are different types, including a formal meeting, an open house and community outreach event. The most common meeting is a formal meeting where the public is invited to observe the interactions between the NRC and plant staff. Open houses are informal and are designed to encourage one-on-one conversations. 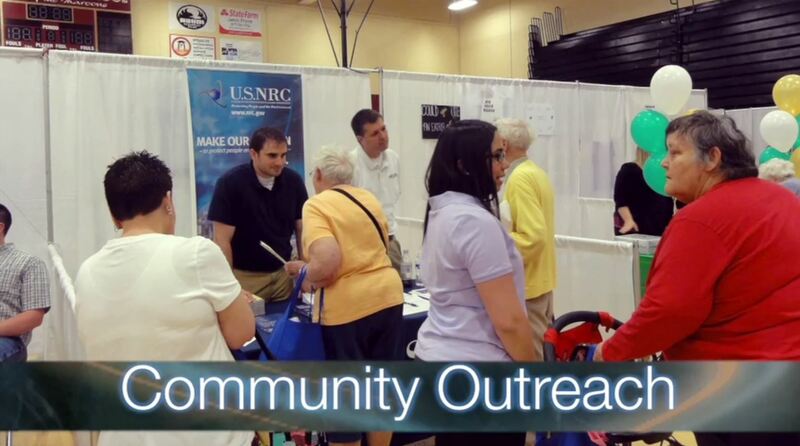 An example of a community outreach event is where the NRC would staff a booth at a local event in an effort to talk to more folks. The type of meeting will vary depending on the plant’s performance, community feedback and local interest. No matter the format of the meeting, the public will have an opportunity to not only hear about the plant’s performance and NRC inspection efforts but also ask questions, make comments and talk to the NRC staff. A common misconception is that these meetings are transcribed — they are not. The basis for the NRC’s discussion is the annual assessment letters issued by the NRC to individual plants. These letters are documented and publically available. You can find them on the NRC website. The NRC continues to reach out in an effort to inform people about what the agency does, how we regulate and how a particular plant is doing in meeting NRC rules and regulations. We are committed to protecting public health and safety, and strive to be open and responsive in these annual assessment meetings. If you are interested in any upcoming public meeting you can check out the public meeting schedule and review the meeting notice as well as the press release. We hope you’ll check out the video to learn more. Well, not viral, actually. But beginning this month, there is a new way to hear about our upcoming public meetings. By signing up for our new public meeting Twitter feed, you will get tweets whenever we schedule a public meeting, as well as if we cancel or change meeting details. The tweets will go out the same time a meeting notice is posted or changed and will include a link to a webpage that has details about the meeting. You can sign up to receive NRC’s public meeting tweets by registering for twitter or logging into your Twitter account. In the search field type NRCgov_PMNS. The NRC’s public meeting account will be listed and then simply click the “Follow” button underneath. Speaking of public meetings, for years, NRC has handed out a Public Meeting Feedback Form at all our public meetings. We wanted to know your opinion about what went well, as well as any suggestions you had about how we could make our meetings better. But, also beginning in December, you’ll notice a new and improved feedback system. We’ll still have the old hard copy form. You can still use that and hand it off to an NRC representative or drop it in the mail. But now you’ll be able to give feedback directly through your smartphone or your computer. Each form will have a Quick Response (QR) code. By using any of the free QR code reader apps that are available, you can scan the code and go directly to our feedback page right through your phone. You can then fill out the online form, which only takes a few minutes. You can also provide feedback through a computer by going to our Public Meeting Schedule and pressing the “Meeting Feedback Form” link for the specific meeting, or pressing the “[…more]” link for a specific meeting and then pressing the “Meeting Feedback Form” link on the “Meeting Details” page. Last NRC fiscal year (October 2012 – September 2013), we received only 76 comment forms. 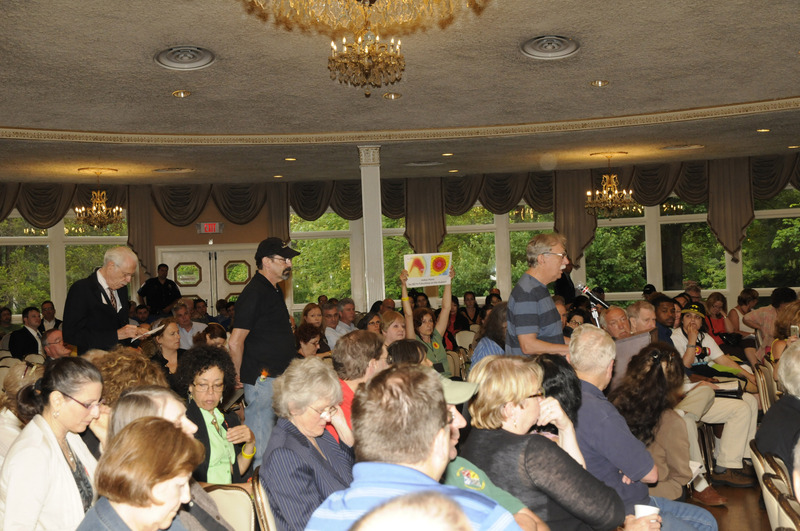 We held over 1,000 public meetings during that time. We do read every card and consider every comment. We also analyze the responses we receive each year to look for trends. In some cases, past comments have affected where NRC holds public meetings and how the meetings are conducted. With these improvements in hearing about meetings and giving us feedback about them, we hope you’ll find it easier to participate and more inclined to give us your two cents. The NRC hosts hundreds of meetings throughout the year. Many of the meetings are held so you, the public, can share your thoughts about nuclear power issues. While the meeting topics vary, the way to find out about them doesn’t — you check the Public Meeting Schedule on the NRC’s Web site. You’ll find the date and time, purpose and agenda, location, and contact name and phone number. When you click on the link to the agenda, you’ll be able to find out more information, such as who from the NRC is planning on attending the meeting. If there’s a telephone icon, there will be a phone number so you can listen in on the meeting remotely instead of traveling to it. Our goal is to give you at least 10 days advance notice before a meeting, so that you can arrange your schedule to participate if it’s a topic you’re interested in. A word of caution – please keep checking the Web site in case there’s been a change to the meeting. Also, if there’s bad weather, we may have to cancel or postpone the meeting. In 2012, we posted information about 1,147 meetings. There are sure to be many meetings in 2013. Perhaps one will interest you?